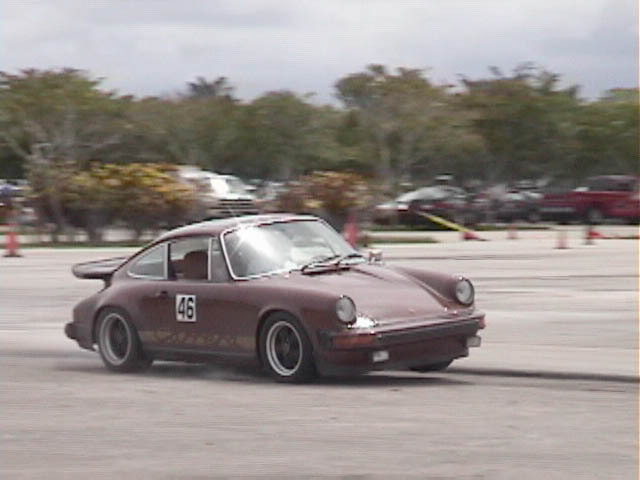 In case you are not familiar with the subject, an autocross is a driving event held in a parking lot. Rubber cones are placed on the lot to mark the limits of an imaginary driving course, normally about a mile in length or less. This course is very twisty and driving around those cones is quite challenging. You will be driving at speeds usually not exceeding 40 or 50 mph. You get to drive the course four times in a day, so your total track time is only about 4 minutes. As a novice you will probably get lost among those cones while trying to figure out your way around the course. You may take down a cone or two, but if you are good you may complete a lap by the end of the day. If you are really good it will feel like you were going fast. You will then go to the scoring board to check your time and find out that the guy in the Saturn was 10 seconds faster than you in your GTA or Callaway GTV with a 500 HP supercharged V8! An autocross begins around 10 AM but you need to get there at 8:30 AM at the latest, so you will have to wake up early even on a Sunday. 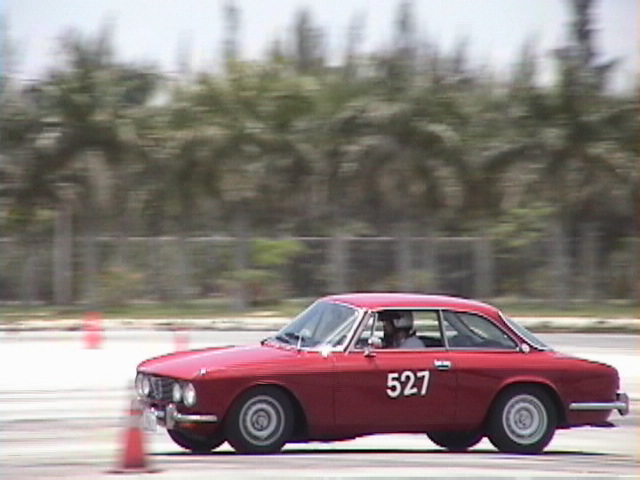 Depending on how far you live from the autocross venue you may have to drive fairly long distances. 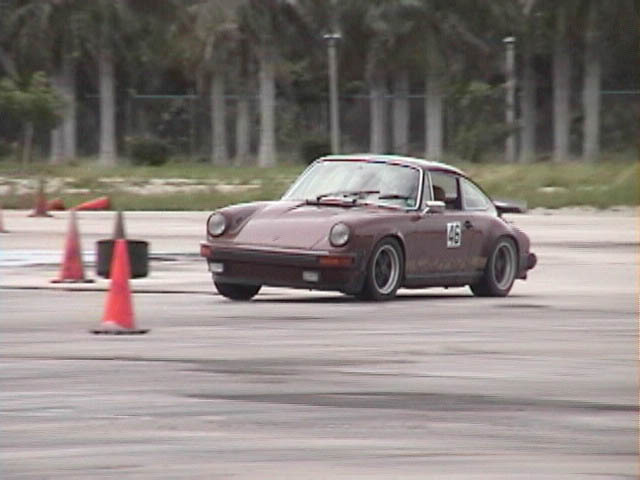 Hard-core enthusiasts from Miami even get at up at 4 AM when they go the Fort Myers autocross, but there are several autocross venues between Miami and Palm Beach. You also get to enjoy the great South Florida outdoors: sunshine that would burn a rhino, humidity that will make you wish you never put your nose out the front door, rain showers that will soak you down to your underwear, and occasionally you will find yourself supporting the local fauna by donating your blood to hungry mosquitoes. Also forget that delicious Sunday brunch, lunch it's just a quick homemade sandwich and a coke. 10. IT' S SIMPLY A NICE WAY TO SPEND A SUNDAY. Think of it: if you go to the autocross you have no chances of spending the day at the beach or going on a boat trip, hence there is no danger of ending up as shark food. Also you have no chances of getting framed again watching the TNT reruns of "She Wore a Yellow Ribbon", and you can forget about all those "doomed to fail - I wished I'd never gotten into this" home projects! $ 30 it's all you need to have fun for an entire day! 9. IT' S SAFE. First and most important of all, there are no sharks and no TV. 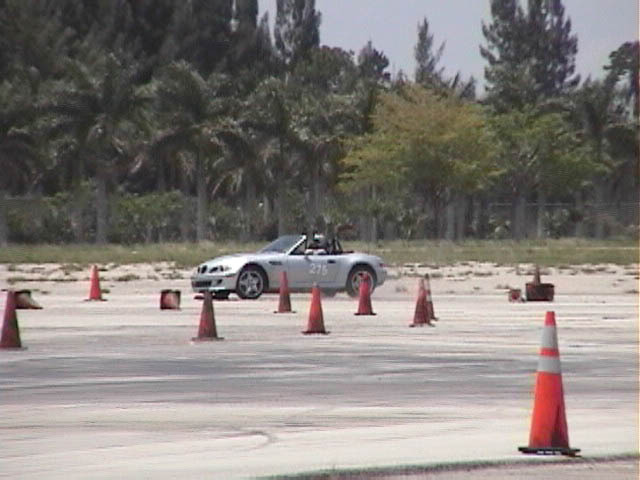 Second, autocross courses are designed with safety in mind, so that you have no chances of crashing your car or injuring yourself. Should you succeed in losing control of your car the most likely consequence is taking a cone down or spinning the car. However, there is no limit to people's creativity and God's superior design, and if you try hard enough you may crash into a UFO landing on the parking lot while you are driving on it. 8. IT' S INSTRUCTIVE & FUN. Unlike on public roads, you can learn how to drive your car at its limits and have incredible fun doing it. You may be doing only 50 mph, but it will feel like 100! You can drive as fast as you can, get sideways, smoke your tires until they burn (a misdemeanor on public roads, lawyers tell me), spin you car in circles, and all of this with no penalty or speeding tickets. Of course if you run over the landing UFO you will have to pay for hospital and body shop bills and the government will probably come after you for having started a interplanetary conflict. 7. IT' S HEALTHY. During those 4 minutes on the track you do forget about the office, the wife, the husband, the kids, the dentist appointment, and everything else you want to get away from. Your mind clears and you will release stress (unless you run over the UFO) and if like Marc you eat carrots your cholesterol may go down a little (that is if you don't run to McDonalds during the lunch break to get a cheeseburger). Of course, don't forget the sunscreen and mosquito repellent! 6. IT SAVES MONEY. 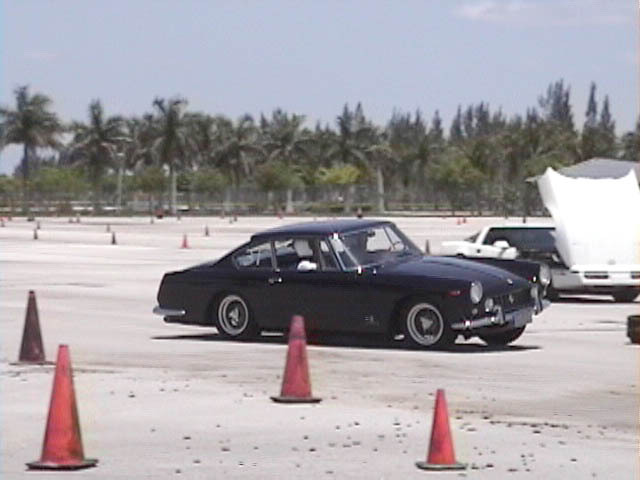 Because you can drive fast at the autocross, you have less/no urge to speed on the highway, hence no speeding tickets or increased insurance premiums. With the money you save you can buy the ring your wife wanted, or the wristwatch your husband likes, or take it from me get an extra set of wheels with autocross tires! 5. IT' S GOOD FOR YOUR ALFA. Your Alfa is meant for spirited driving. Let that engine sing and those tires squeal! Be reassured that an autocross puts really little wear on your car, and remember that Richard Stevens charges fairly for fixing blown engines! 4. YOU MAKE FRIENDS. You will be amazed at how many nice folks are out there. 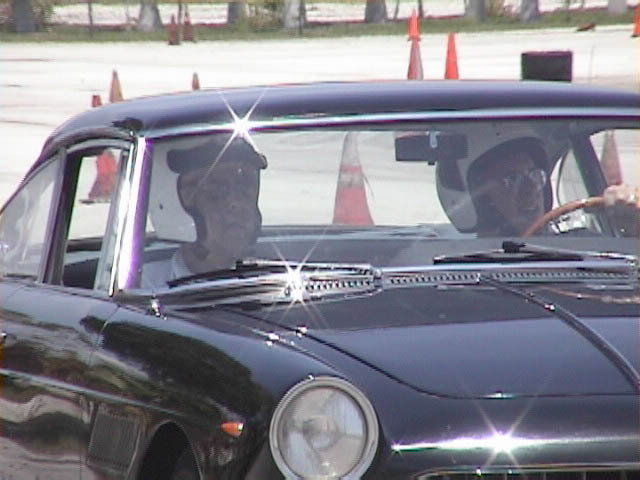 Even your President seems like a nice guy when he is autocrossing! 3. YOU GET TROPHIES. You will probably be very slow at the beginning, and feel that you will never get faster. Give it time and you may discover you are getting good at it, and will soon start posting fast times and getting trophies. Or you may get a trophy if there were only two people in your class and the other had to run to the bathroom instead of driving the course after he drank the coke you gave him. Even if you drive worse than my grandmother chances are you will get a trophy. Organizers may just get sympathetic and give you a trophy for the slowest time of the day, or for being the slowest driver of the year (if you get that you will be kicked out from the this club!). 2. YOU NEVER AGAIN GET TO SEE THE PICTURE OF MY BMW ON THE NEWSLETTER. 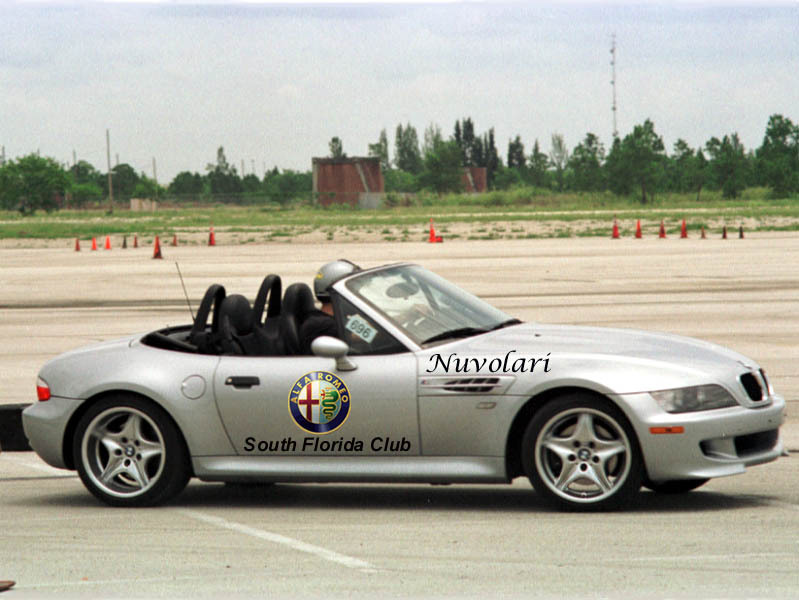 Promised, we will stop the sacrilege of publishing pictures of my BMW sporting the Alfa logo if at least 5 members show up at the next autocross! Does anybody have any pride out there? 1. YOU GET TO BEAT THE PRESIDENT! Marc has been winning all of the events he has participated in! He has not been giving out cokes to his competitors but watch out those carrots he hands out! The secret to his success is simple: he happens to be the only guy competing in his class! For how long are you going to leave him unchallenged? I can't help you with this, my BMW runs in another class. 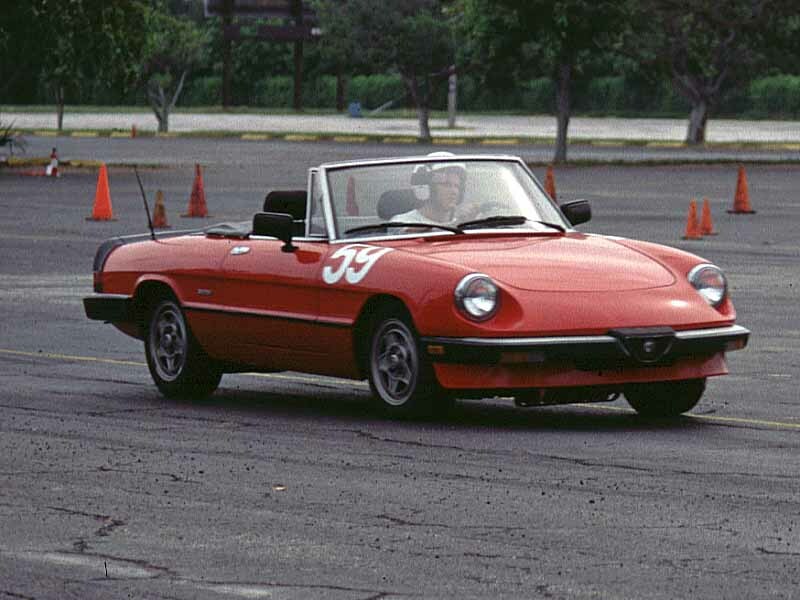 Coming to the autocross is your chance to beat your President and get your Alfa's picture in the newsletter instead of his! 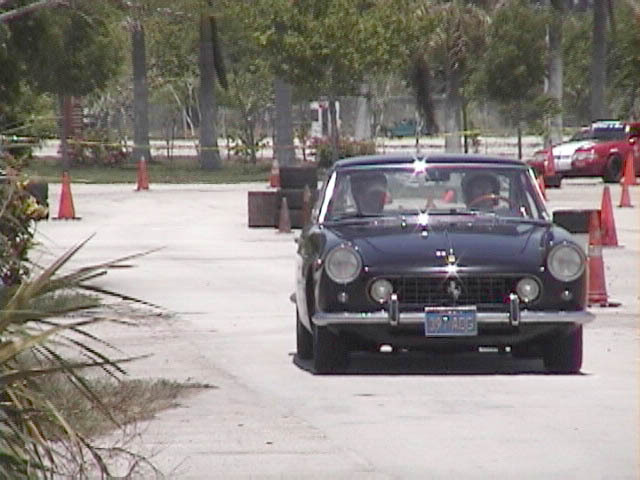 Show up at the autocross, you may like it! Pics below: Art Taxman shows his class with his Ferrari... wait that he gets his Alfa ready! 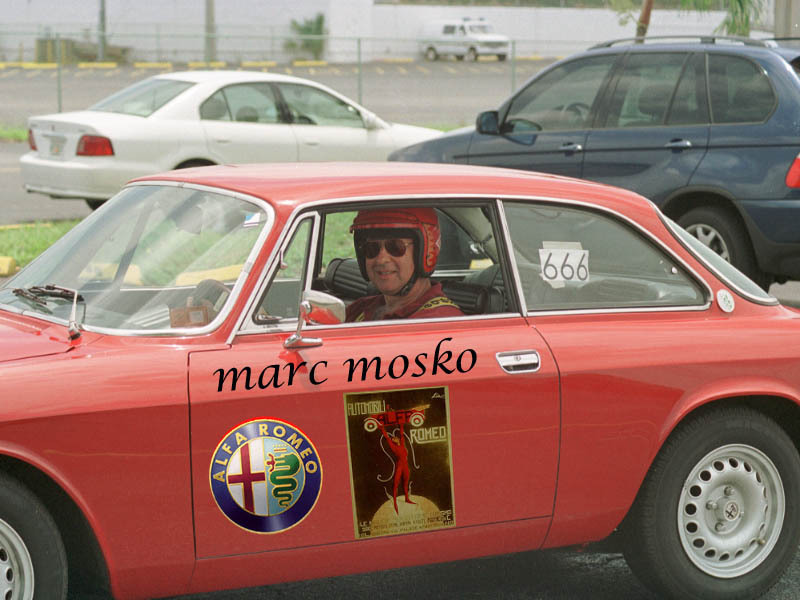 Here is your web-master putting Marc's GTV through its paces. Thanks Marc! Pics below: member Don Dorra put a 911 body on his Alfa spider! Here is your web-master spinning his car... shame shame shame! 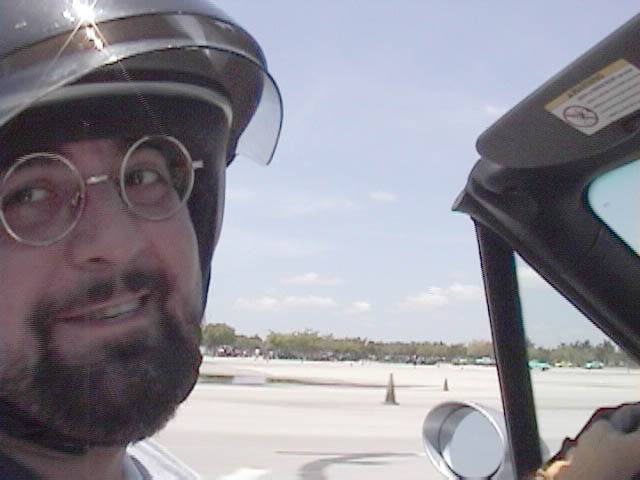 No matter what, this is the grin you go home with after a day at the autocross!